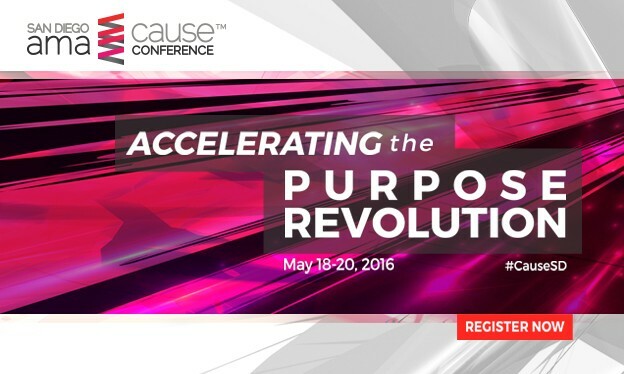 San Diego’s American Marketing Association chapter is preparing for its 18th annual Cause Conference, the largest social purpose marketing event on the West Coast. The conference brings together for-profit and nonprofit professionals. About 400 people are expected to attend. The conference will feature TED-style talks, workshops and panel discussions. Topics include cause marketing and purpose-driven branding, social impact measurement, conscious capitalism, employee engagement and nonprofit and for-profit collaborations. Sessions are available in four tracks, including “Starter” (newbies to cause and purpose-driven branding), “Business,” “Nonprofit” and “Optimizer” (for advanced cause- and purpose-driven marketers). Keynote speaker will be Aaron Hurst, a globally recognized entrepreneur and a leading expert in the fields of purpose at work, personal growth, employee engagement and retention, social innovation and building community. Hurst says success in today’s economy is driven by connecting people to their purpose and that value lies in establishing purpose for employees and customers through serving needs greater than their own. Hurst is the founder of the Taproot Foundation and created the national A Billion + Change campaign. He also worked in Silicon Valley developing the precursors to social media. The conference will feature an evening reception on May 18, the full-day conference on May 19 and two optional bootcamps on May 20. All activities will be held at the Crowne Plaza Hotel. Admission prices range from $149 for the one-day conference to $349 for all-access pass for non-members. Current undergraduate students or young professionals can attend for $149 per person. Sponsors include San Diego Gas & Electric, For Purpose Law Group, Time Warner Cable, CBS Radio, Cox Communications, San Diego Business Journal and VIANOVA. For more information, call (619) 402-7825or visit www.sdama.org. It will be the 24th consecutive year for KNSD/NBC 7 San Diego to serve as exclusive TV sponsor of the National Multiple Sclerosis Society’s 2016 San Diego County Credit Union Walk MS on Saturday, April 16, in Carlsbad, and Saturday, April 23, at NTC Park at Liberty Station in Point Loma. 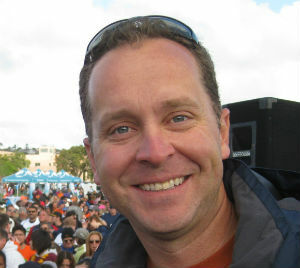 NBC 7 San Diego news reporter and anchor Steven Luke will emcee the NTC Park walk. Luke’s aunt Nan is living with MS, an unpredictable, often disabling disease of the central nervous system that interrupts the flow of information within the brain and between the brain and body. The National MS Society expects more than 7,000 walkers at both sites will raise about $1 million in donations for MS research and program and services for people with MS. Admission is free to attend Walk MS. On-site registration will be available. Event information is available atwww.WalkMS.org. J. Walcher Communications, a San Diego PR and marketing agency, has promoted Sandy Young from account supervisor to vice president. 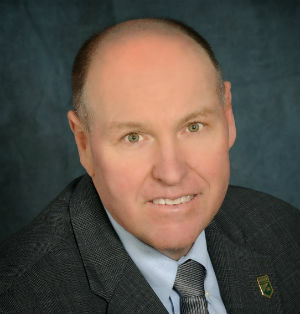 It is the first time the agency, founded in 2001, has named an employee to a VP position, according to Jean Walcher, JWC president. 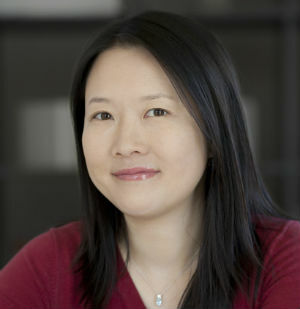 Young joined the company as an account executive in 2009. Prior to JWC, she worked at several San Diego-area PR and marketing firms, including Premise Immersive Marketing, Benedetto Communications and the McRae Agency. Young, with more than 11 years of experience in the PR, marketing and communications industry, has a bachelor’s degree in communications and literature writing from the University of California San Diego. Walcher was inspied to start JWC by her mother, PR industry pioneer Laura Walcher, who began working in the field in 1973. Laura works part-time at JWC and handles Bazaar del Mundo in Old Town, a client she has served continuously for the past 43 years. Two North County marketing firms, public relations firm Clearpoint Agency and Elevator, a digital marketing agency, have announced they are collaborating to provide services to RISARC, a healthcare technology and revenue recovery consulting firm. Clearpoint, based in Encinitas, will handle the client’s PR, media relations and content development. Elevator, with offices in Carlsbad, will develop a new website for RISARC’s six client types, including accountable care organizations, hospitals, payers, physicians, post-acute care organizations and international markets.